A number of smartphones have been modeled after the Samsung Galaxy S8 flagship by Chinese OEMs as a cheaper alternative. The Blackview S8 is one of the high-end flagship’s dub with a mid-range hardware and a number interesting features. Does this smartphone qualify as a budget alternative of the Samsung flagship? We’ll see. 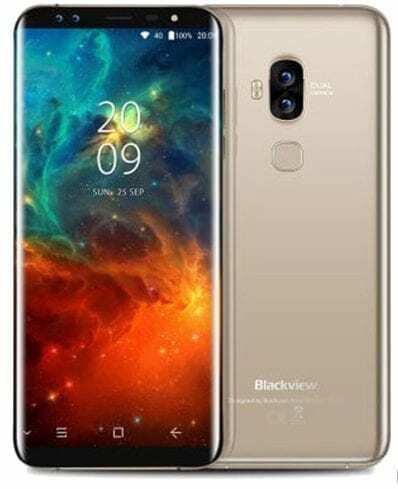 The Blackview S8 is features an 18:9 aspect ratio like the S8 smartphone. However, it is smaller in size and its appearance leans towards the Samsung Galaxy S7 smartphone with the curved back panel. Also, the smartphone has a bezel-less approach to it’s design with a minimal top and bottom bezel. The display here is quite basic for a mid-range smartphone like the Blackview S8. Featuring a 5.7 HD+ IPS display panel the smartphone has a pixel density of a 282 ppi. Overall colour reproduction and viewing angle is quite alright although there’s nothing really immersive about it, it sure gets the work done.. The battery life here is somewhat average. I mean most smartphones have around this range of battery juice. However, with a 3, 180mAh battery capacity you should be able to squeeze a little over a day use without charging without any problem. A quad camera is not something that is common in today’s mid-range smartphone category. That being said the Blackview S8 features a dual 13MP + 0.3MP rear camera and a 8MP + 0.3MP front camera both with LED flash. In a mid-level smartphone flagships an Octa-core MediaTek SoC is sort of the standard. Thus, the Blackview S8 comes with an Octa-core MediaTek MT6750T processor and an ARM Mali-T860 MP2 for handling graphics related issues. Still on the Blackview S8’s hardware, you have a 4GB internal memory for app installation and multi-tasking . This is accompanied by a 64GB storage space with a chance to increase this up to 128GB using a memory card. Talking about the OS, the Blackview S8 runs on Android 7.0 Nougat with slight modification. The Blackview S8 have been on sale for a while now and is available in leading online stores and smartphone retail outlets. The price of the smartphone ranges from 54, 000 Naira to 85, 000 Naira depending on the deal of course. Next articleIs Jumia UK in the works?